Singer P!nk (Pink) has added more UK tour dates for her upcoming “Funhouse” tour which is scheduled to take place later this year. In addition to the added dates, the singer has also created an exclusive limited tour edition of her album “Funhouse” which will be released on November 2, 2009. The new tour edition of P!nk’s album “Funhouse” will include two exclusive tracks and also a bonus DVD of all of P!nk’s music videos from the album with live footage from her current tour in Australia. 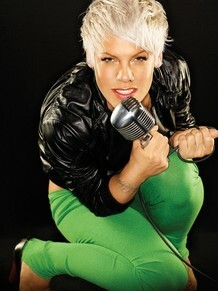 In addition, P!nk will be also releasing her single “I Don’t Believe You” scheduled for the same day. The CD/DVD can be pre-ordered at participating online retailers.